Comments Exotic natural Sri Lankan Sapphire with no treatment. Golden Hue and electric lustre! Certified Unheated Yellow Sapphire! 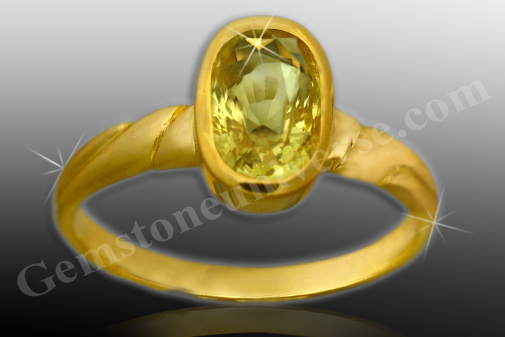 Glowing and glittering unheated, un enhanced fully Natural Sri Lankan Yellow Sapphire set in this exotic 18 K gold! Wonderful and pure Jupiter talisman!